AWP flick is the shot where you quickly move your aim over to the enemy and shoot him right, even if the aim was not on him when you zoomed. If practiced and executed correctly, AWP becomes the most lethal weapon of CS. Experienced players’ aim automatically “flicks” to the enemy in the blink of an eye. Now here’s a secret about flicks. 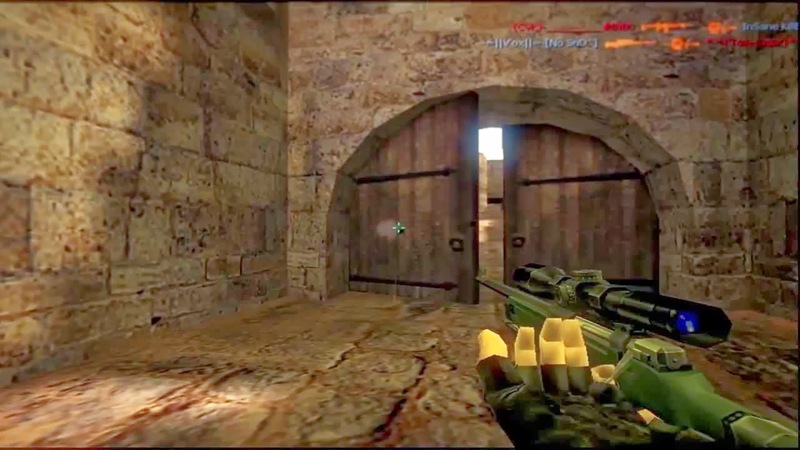 For example, you zoom your AWP into an enemy and your aim is to the right from where it should be. You quickly move your (right) hand inwards and kill him. If this exact scenario happens a lot of times, you become good at “inward” flicks. But what if the aim lands to left next time? You won’t be able to execute your flick very good because you’re a master of “inward” flick, not “outward”. The secret is, you are good at only one of “inward” or “outward” flicks but not both. The trick is understand yourself to know what are you good at. If you’re good at inward flicks, always keep your aim slightly to the right of the enemy before zooming and try to avoid landing your aim to the left. Similarly, if you’re good at outward flicks, keep your aim slightly to the left before zoomin. This way you’ll be able to execute your perfect move. Im a magger/awper and im quite good in inward flicks so i always keep my aim slightly right to the screen where i see around corners.